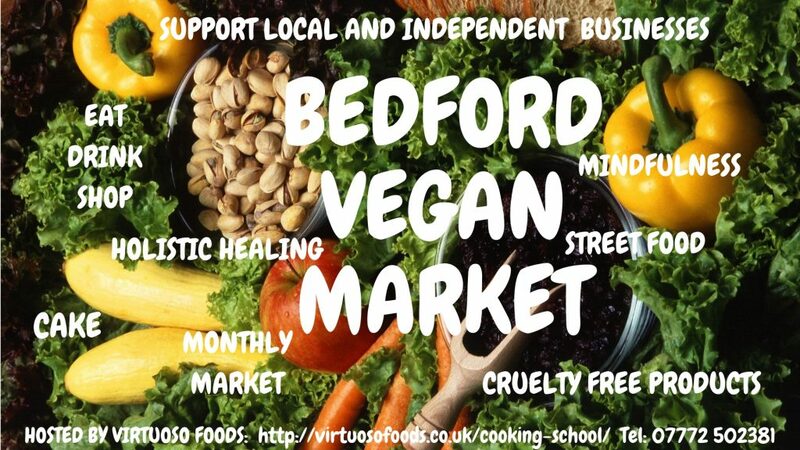 Great opportunity to eat, shop and meet at our regular monthly vegan market in the heart of Bedford Town Centre – one of it’s kind! This market is for everyone not just for vegans. Curious about what vegans eat? Come along! Want to find out more information about Veganism? Come along. Come and enjoy great hot and cold food and drinks and shop for ethical products.